In February of 2019, the Lodge Executive Committee voted and approved the artwork design for a new Standard Lodge Flap (S91) for the Bob White Lodge! This flap will replace our long-time standard flap design (S14) as the new image of the lodge. 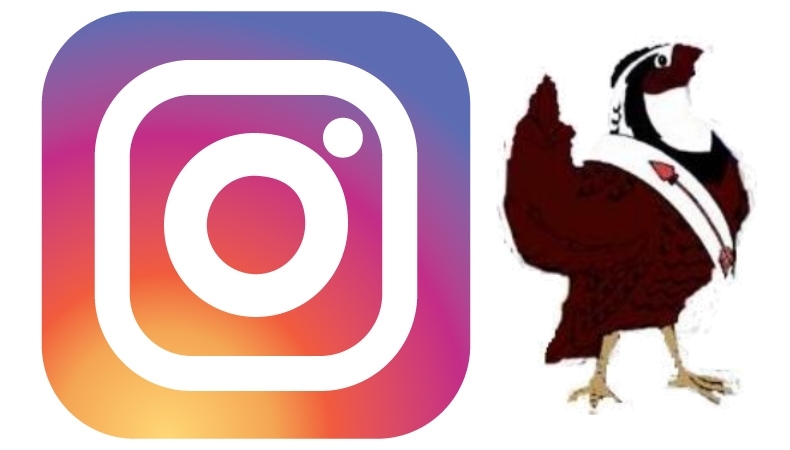 The flap is a reflection of our home at the Robert E. Knox Scout Reservation with the lake’s beautiful sunset in the background on the flap. As of Sunday, March 17, the S91 Standard Flap design has been approved by a majority vote of the membership of the Bob White Lodge and will officially be available for purchase by dues-paid members during the summer of 2019. 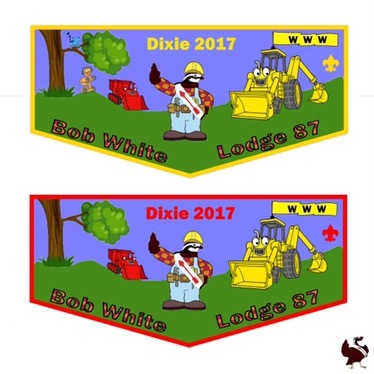 To review the addition to the lodge Bylaws, find the update under Article IX (Lodge Memorabilia) Section C.
2018 Dixie Online Registration is Now Open! The 2018 Dixie online registration is now live. you can sign up online here. Please sign up as soon as possible because we do have a limited number of slots! As February approaches, we have a couple of events coming up. Next month we will be hosting our annual Lodge Leadership Development (LLD) at the Georgia-Carolina Scout Office on February 17th, 2018 from 10:00 AM to 4:00 PM. The price is $10 overall, no early bird pricing. You can pay at the scout office or online, which is soon to air. I hope to see everyone soon! As I am sure many of you have been waiting for, here is the link to NOAC registration as promised. At midnight, registration will open and the link will work for you to sign up. 1. The total cost of NOAC will be $850. 2. A $100 deposit will be required to reserve your spot. 3. Adults that register will be expected to drive a portion of the youth to the event, they will of course will be reimbursed for this. 4. 3 of the 12 youth that sign up will be asked by Carter Harwell to serve in a leadership capacity and help lead the contingent. One of these positions will be NOAC chairmen, and he will have 2 vice chairmen to help him. 5. 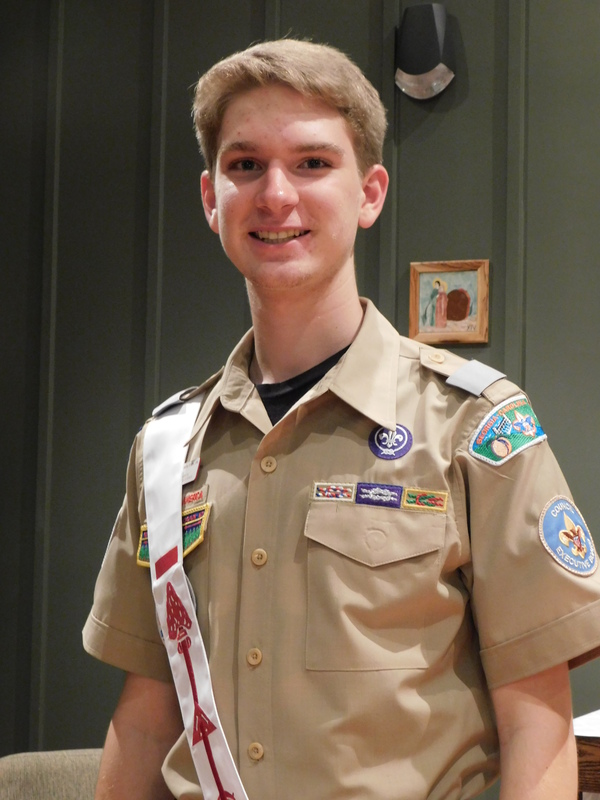 1 of the adults will be expected to serve in the role of NOAC advisor. This person will be determined later on, but this position will require intensive planning to prep the contingent for NOAC. Our advice to all of you, register soon! These slots will NOT be around for much longer as there are only 12 youth slots and 4 adult slots available. If you are interested, don’t wait around until they are all gone! If registration is already closed by the time you try to register, please email Mr Reeder at robert.reeder1961@gmail.com and he will add your name to the wait list. We look forward to seeing the amazing group of young (and slightly less young arrowmen) that we will send to this event next year! In my personal opinion, this is not an event to miss! Hello Everyone! From Everyone at Bob White Lodge #87, we would like to wish you a Merry Christmas and a Happy New Year! We also wish you all safe travels during this holiday season. 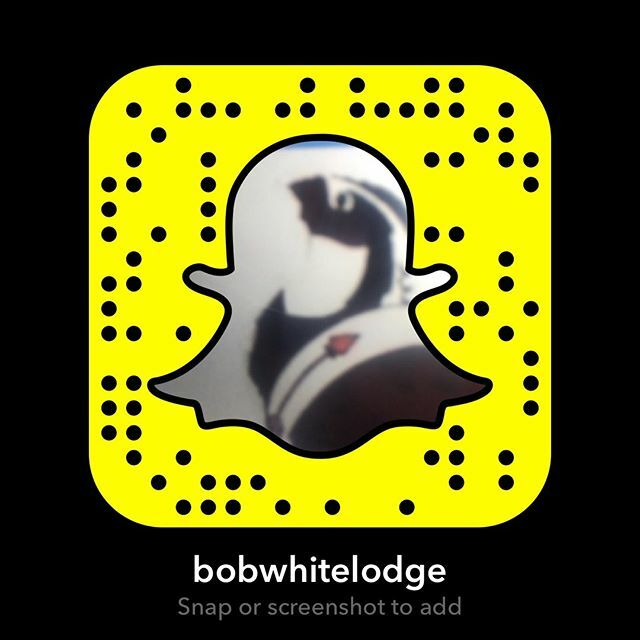 Hello fellow Bob White Lodge members! 2017 Dixie is fast approaching. For any of you who may not know, Dixie is an event held every year, where the multiple lodges in our section meet together for a weekend of competitions, seminars, fellowship, patch trading and much more. You do not want to miss out on this amazing opportunity to attend Camp Barstow in South Carolina for an unforgettable weekend of fun. It will be from April the 28-30. Early bird registration is $55 and is open now through the 4th of April. Late registration will be $65 and closes on the 14th of April. You can register online or at the scout office. Go ahead and get excited, because this year’s Bob White theme is Bob the Builder. We will have great patches as always and I look forward to seeing you all there! You can register online using this link: 2017 Dixie Registration You can also register using the Dixie Registration form found under the “Register” tab of this website. Use this form to order Dixie Pre-orders! Be sure to submit to the council office no later than February the 14th.